– Have You Ever Tried Cucumbers? Cucumbers are a type off fruit which belong to the Cucurbitaceae family (other members of this family are squash, pumpkin, and watermelon). It contain up to 95 percent water and as such are a good source of hydration. They also contain nutrients like vitamin B, vitamin C, vitamin K, copper, potassium, manganese. It also polyphenols which can help lower your risk of developing some chronic diseases. Here are some oth the awesome benefits of this good fruit. 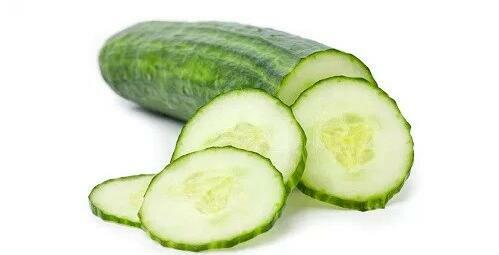 Although cucumbers are low in calorie content, they are very feeling. Cucumber fibre also forms into a gel-like substance nside your stomach, causing you to feel fuller for longer and as a result, eat less food. Cucumbers have an anti-inflammatory flavonol called fisetin. This fisetin plays a very important role in helping to maintain the health of your brain. In addition fisetin helps boost your memory and protect your nerve-cells from decline caused by aging. Cucumbers contain a lot of water and fiber. Water can help reduce acute symptoms of acid reflux by raising the pH of the stomach temporarily. Cucumber also have insoluble fibres which help to add bulk to your stool and ease the movement of food through your digestive tract. It can help cool down the inflammatory responses of your body and prevent unwanted inflammation. It does this by inhibiting the activities of pro-inflammatory enzymes. Cucumbers contain vitamin B1, vitamin B5, and vitamin B7 (biotin). These vitamins help ease feelings of anxiety and also absorb some of the effects of stress. It contain lignans, a type of polyphenol which helps lower your risk of breast, uterine, ovarian, and prostate cancers. They also contain cucurbitacins, which have anti-cancerous properties.